Photos taken during work on a Beholder storytelling project about a cat — actually, not just any cat, but one particular cat, which all the cats in the world know about (I’ve been interviewing cats about this for a while now). First photo: The drawing on the screen is one of a whole series that René did at the end of 2017, when we planned the design and animation for the little puzzle game that will help spread the word for the story. 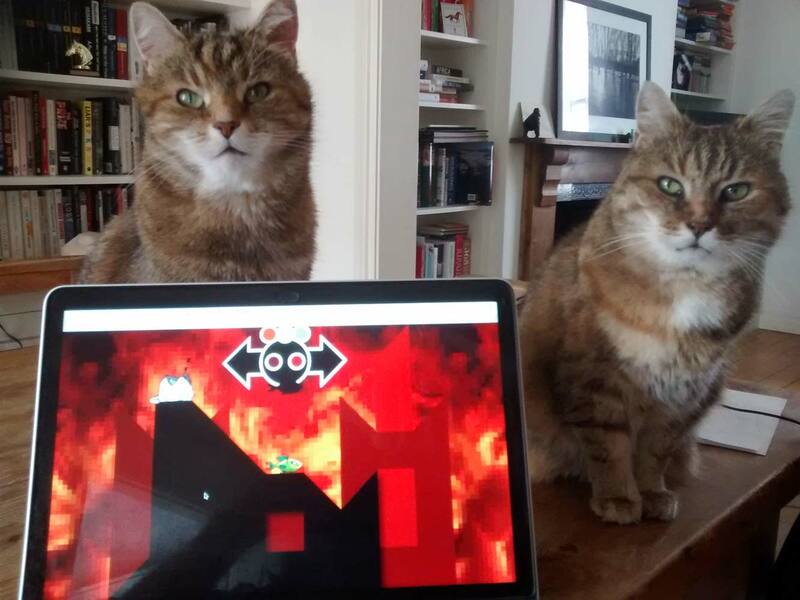 Second photo: A prototype of the puzzle game is running on the laptop, with both cats pretending to be unimpressed, although whether that’s down to René's depiction of cats or my coding isn’t clear. I tried to fiddle with the selective exposure on the (phone) camera to get these to work, when what I should have done is just dimmed the brightness on the laptop screen before taking the photos. 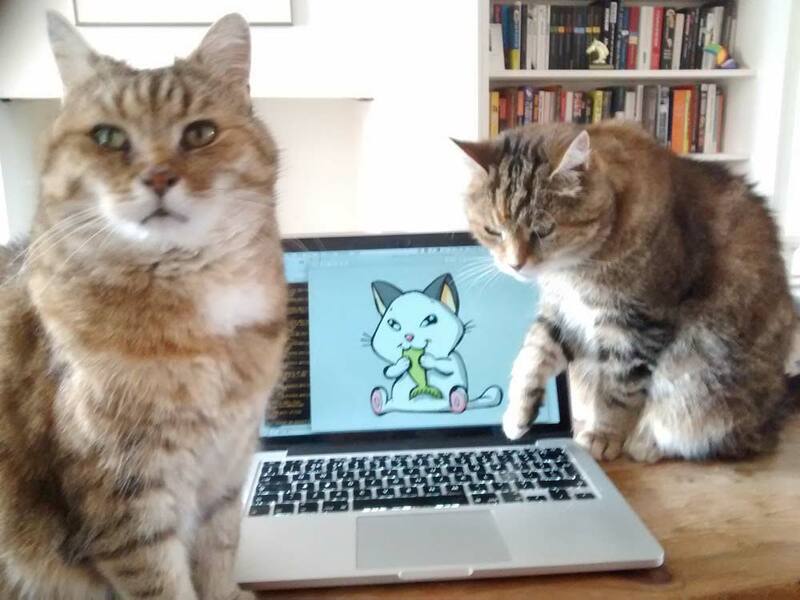 These are not my cats even by the loose definition of cat ownership (no cat has ever truly been owned — with one significant exception); I am “cat-sitting” for their “owners” in Oxford.